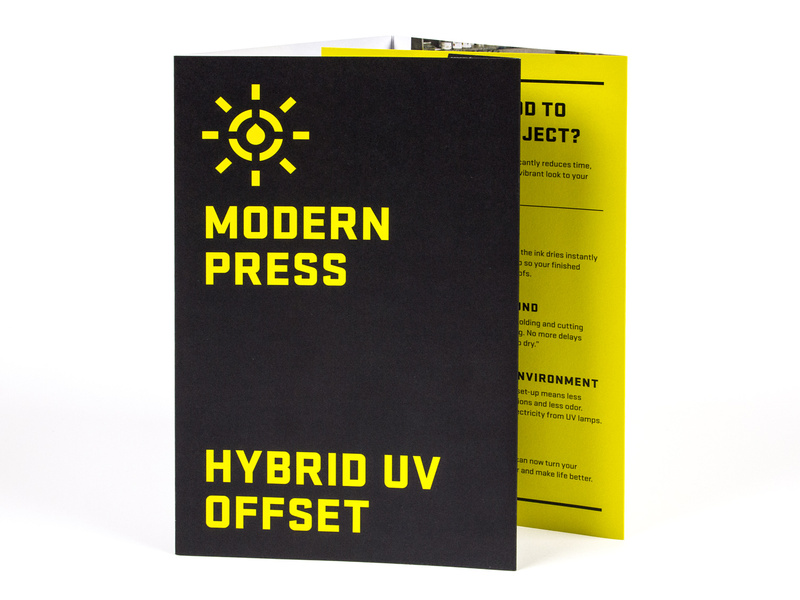 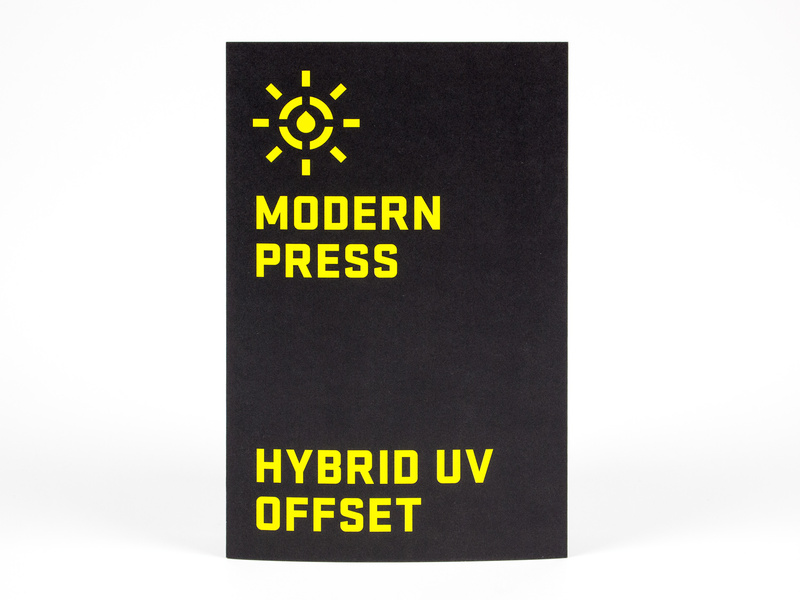 Local printer Modern Press needed a promotional brochure to promote their hybrid UV offset printing press. 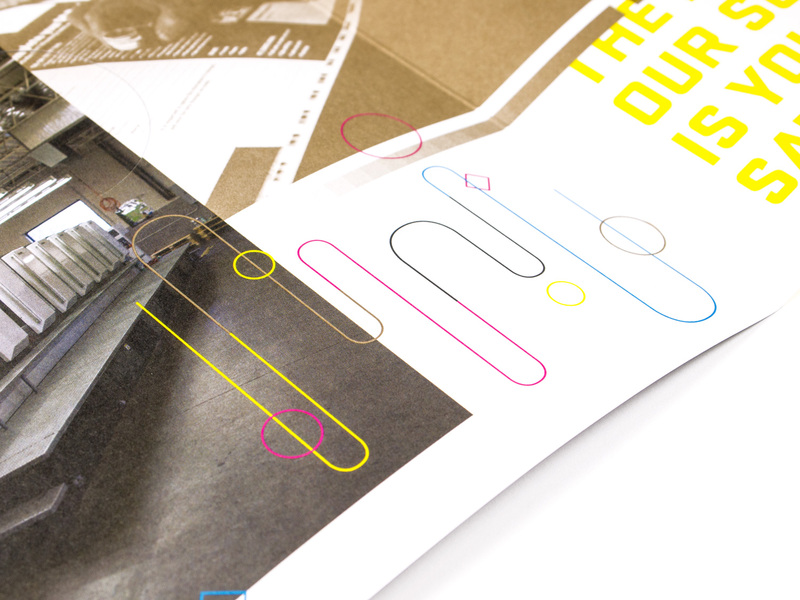 The unfolded spread serves as a colorful showcase of their equipment as well as a sort of “stress test” for the machine they are promoting. 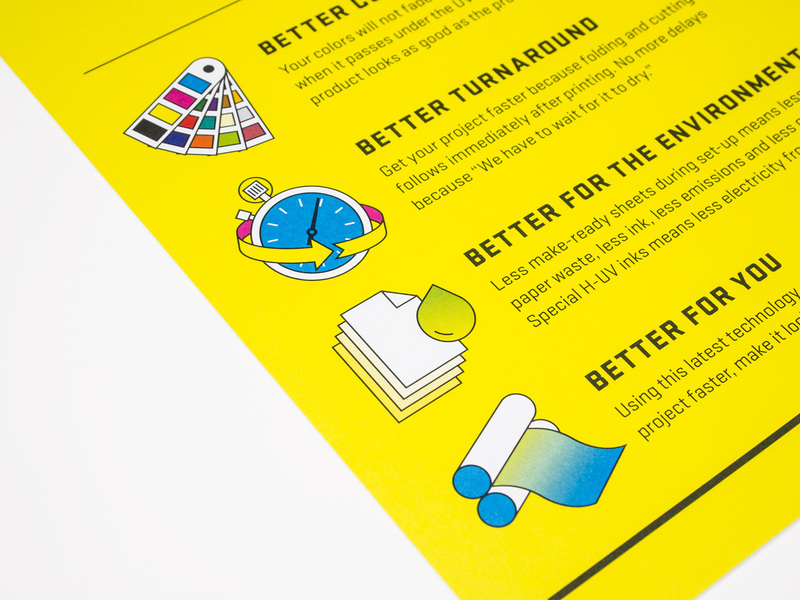 The design features overprinting, line weight tests, gradient tests, metallic ink, and illustrations that were designed to double as alignment tests.